The Russian authorities must immediately and unconditionally release Dennis Christensen, a Danish national and Jehovah’s Witness, who has been facing trial simply for the exercise of his human rights including his right to freedom of religion, Amnesty International said ahead of a ruling on his case by the Zheleznodorozhny District Court of Oryol, which is expected on 6 February. The Russian Supreme Court ruled in April 2017 that all Jehovah’s Witnesses groups should be closed down and no longer allowed to operate. A month later, Dennis Christensen was arrested, becoming the first Jehovah’s Witness to be detained in Russia following the ban, with several other followers of the faith arrested since. “Dennis Christensen has been arrested and prosecuted by the authorities simply for practicing his religion as Jehovah’s Witness. His case is emblematic of the grave human rights violations including the rights to freedom of expression, peaceful assembly and religion in the country. The Russian authorities must halt persecution of estimated 175,000 Jehovah’s Witnesses who are simply peacefully exercising their right to freedom of religion,” said Marie Struthers, Director for Eastern Europe and Central Asia at Amnesty International. Dennis Christensen is accused of organizing activities related to an “extremist organization”. If convicted, he could face up to 10 years in prison. Amnesty International considers Dennis Christensen and all Jehovah’s Witnesses deprived of right to liberty solely in connection with the peaceful exercise of their right to religion to be prisoners of conscience. They must be immediately and unconditionally released and all charges against them dropped. Amnesty International is also calling on the Russian authorities to review the anti-extremism legislation and the relevant practice to ensure that it is no longer used arbitrarily to prosecute government critics and other dissent. 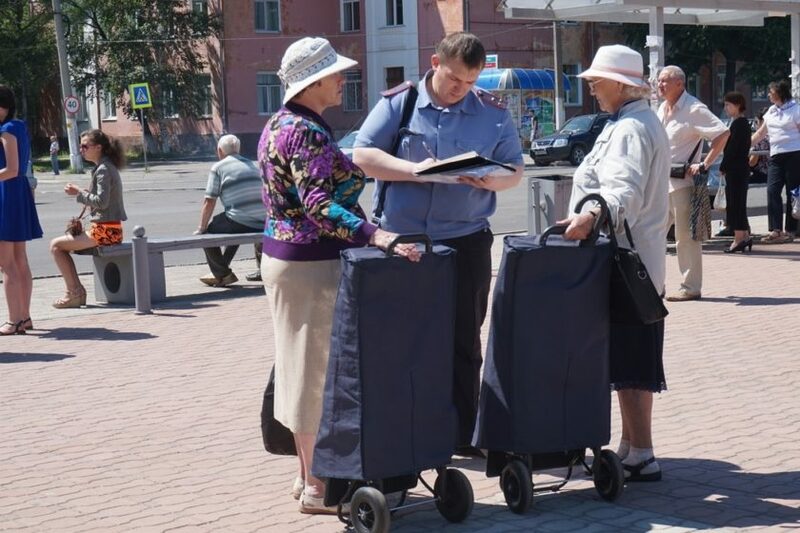 Since 2009, Jehovah’s Witnesses have faced persecution and harassment in Russia under the country’s “counter-extremism” legislation. In April 2017, the Russian Supreme Court ruled that the Jehovah’s Witnesses organization in Russia should be closed, its activities stopped, and its property confiscated. The Court referred to earlier rulings including that of the Prosecutor General’s Office, which found that local Jehovah’s Witnesses chapters had violated counter-extremism legislation and thus, equated Jehovah’s Witnesses to an extremist organization. Dennis Christensen, a Danish national and Jehovah’s Witness who has been residing in Russia since 1999, was detained after a police raid on his congregation in Oryol on 25 May 2017 and accused of “organizing the activities of an extremist organization”. On 23 January 2019, the prosecution asked the judge to sentence Dennis Christensen to six and a half years in a penal colony. According to the media, since Dennis Christensen’s detention, more than 50 other Jehovah’s Witnesses have been charged under “anti-extremism” legislation. Dozens of Jehovah’s Witnesses are in detention or under house arrest, including another foreign citizen, Andrzej Oniszczuk from Poland, detained with four other men in Kirov (Central Russia), in October 2018.